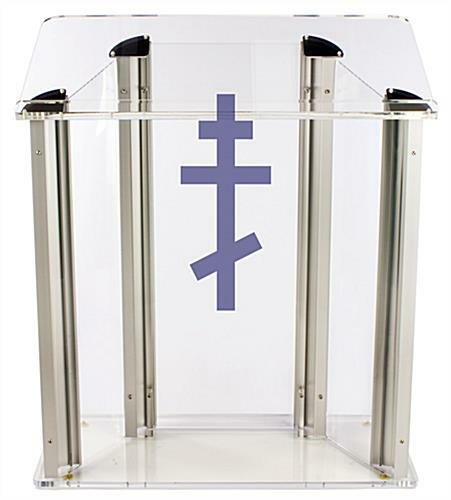 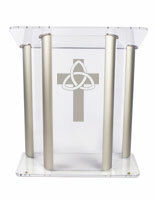 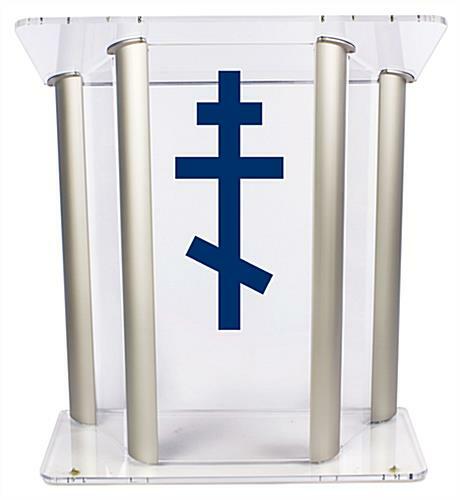 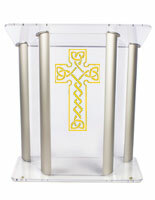 These wide acrylic podiums with orthodox cross are great for any church service with their sleek plastic and silver aluminum fabrication. 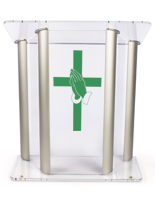 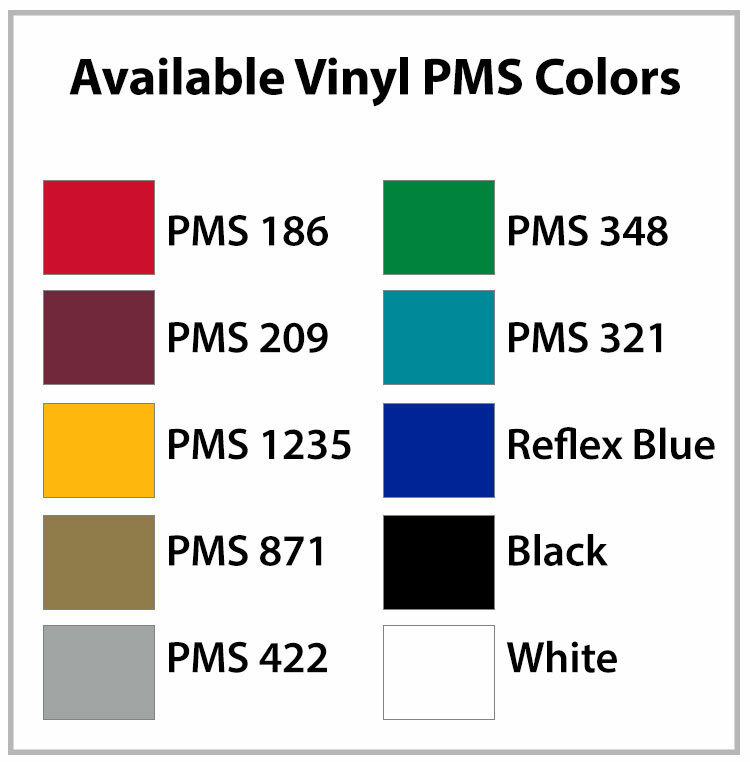 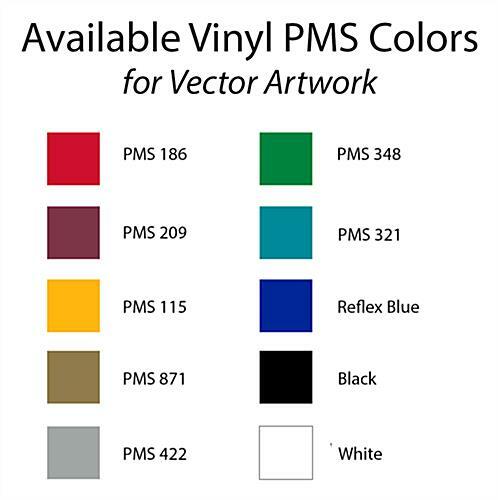 Each of the speakers stands comes with a 14" x 24" graphic printed in one of ten available colors. 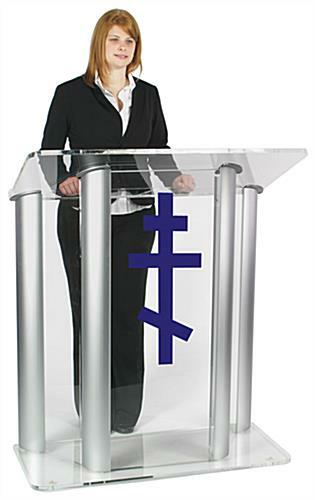 In addition, the wide acrylic podiums have a large angled reading surface that measure 42.5" x 20.8". 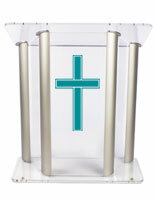 Another feature of the church lecterns is their 1.3" book stop that prevents presentation materials from falling off. 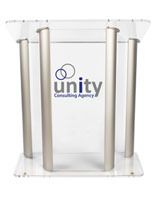 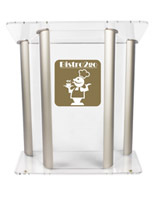 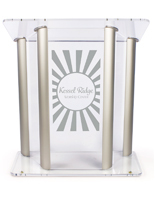 The aluminum and acrylic podiums' 1-color image is imprinted with a durable vinyl process for a long-lasting design. 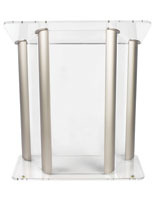 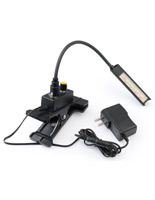 The speakers stands are shipped fully assembled for immediate use.